A.C.M. Laboratory offers a NATA accredited service for the calibration of the masses. The masses are measured in temperature controlled (20 ± 0.5 ˚C) laboratory. 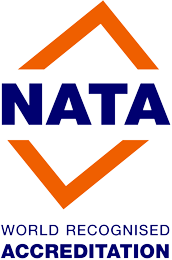 We are able to calibrate & issue NATA certificate on masses up to 30kg. ACM Laboratory offers a NATA accredited service for the calibration of the Coordinate Measuring Machines (CMM). The CMM can be calibrated on site or measured in environmentally (temperature) controlled (20 ± 0.5 ˚C) laboratory using special equipment designed and built by ACM Laboratory metrologist. ACM Laboratory offers a NATA accredited service for the calibration of the callipers (vernier, digital or dial type). The callipers are measured in environmentally (temperature) controlled (20 ± 0.5 ˚C) laboratory. ACM Laboratory offers a NATA accredited service for the calibration of the force gauges. The force gauges are measured in temperature controlled (20 ± 0.5 ˚C) laboratory using special equipment and methods designed and built by ACM Laboratory metrologist. Electronic gauges in either tension or compression. ACM Laboratory offers a NATA accredited service for the calibration of the cutters. The cutters are measured in environmentally (temperature) controlled (20 ± 0.5 ˚C) laboratory using special equipment designed and built by ACM Laboratory metrologist.